– Makes the hole seem 12ft to 15ft foot closer than traditional hole. The Big Cup is the fast, simple, no-maintenance way to increase the size of the hole. No expensive special equipment or special maintenance procedures are necessary. 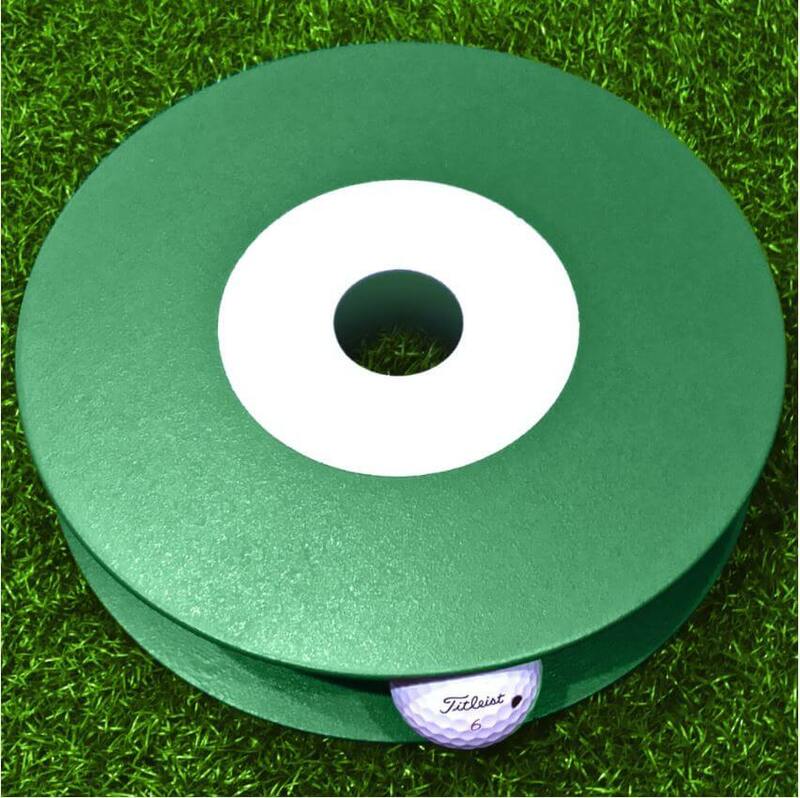 With Big Cup, simply place the cup anywhere on the putting green, and you are ready to play! PERFECT FOR SPECIAL EVENTS, the Big Cup is the perfect way to add these events without damaging the greens or adding maintenance expense. Big Cup takes the regular 4.25” cup and expands it to over 8” with a simple above ground addition. 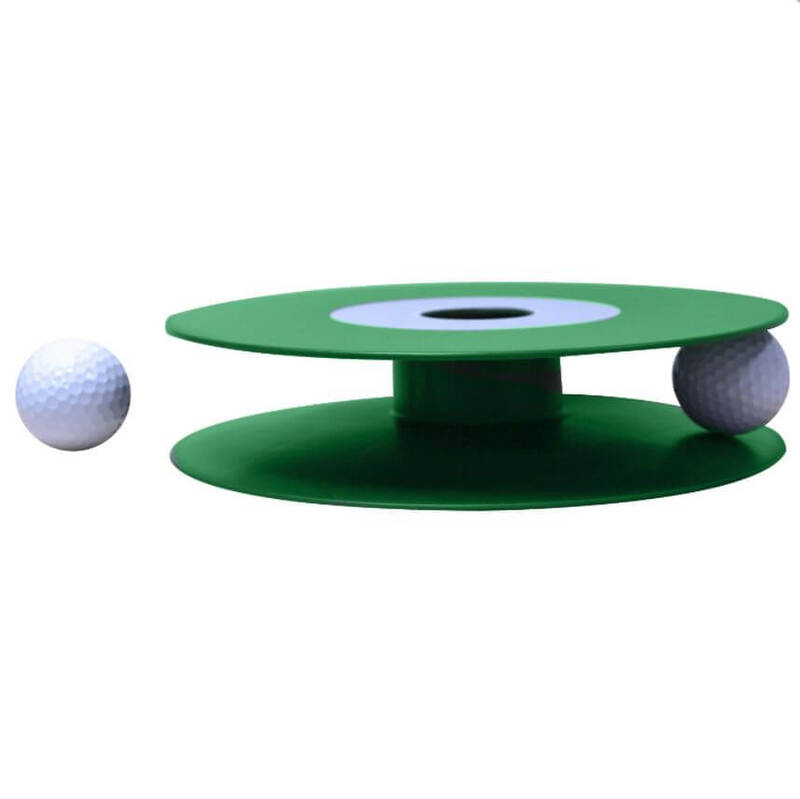 PERFECT FOR JUNIOR/BEGINNING GOLFERS – Does putting frustrate your new golfer? Big Cup is perfect for those experiencing the game for the first time. Every other sport is taught using an altered field, court, or goal to make it simpler for beginners to experience success and enjoyment. No such thing exists for golf, and as a result, early success on the golf course for beginners is minimal. The Big Cup allows at least one aspect of the game to be easier for beginning golfers. PERFECT FOR INDIVIDUAL PLAY OR PRACTICE AT HOME Are you ready to add a little fun and simplicity to the game? Try the Big Cup on the days you want to PUTT LIKE A TOUR PLAYER. It’s lightweight and simple to use.